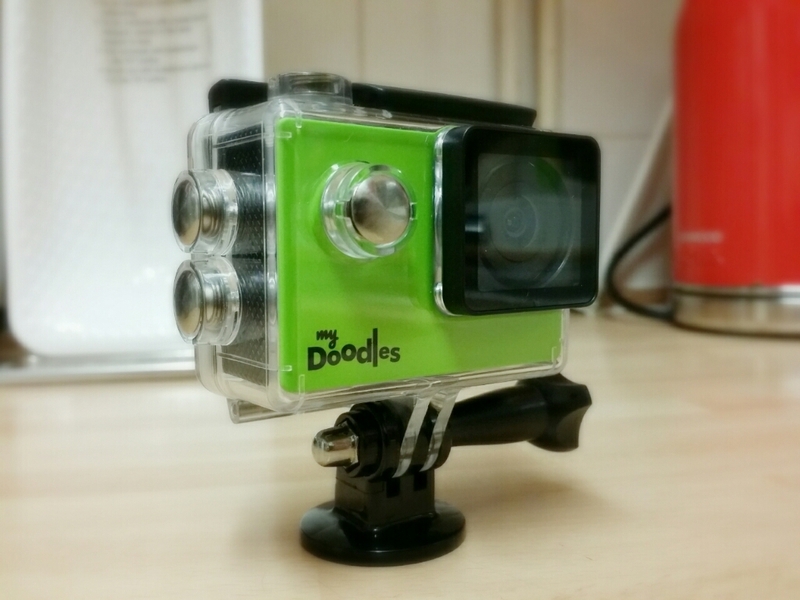 Our latest competition is awesome... if you have pint-sized photographer wannabe in your house. A few weeks ago we reviewed the new My Doodles Action Cam Bundle; a set containing an HD action cam, waterproof case, telescopic pole and colourful carry case. Now it's your chance to win one! 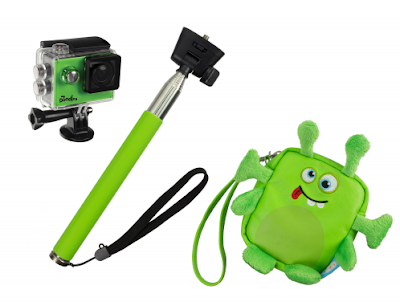 Check out our review of the set, but in a nutshell this bundle includes everything your kid will need to get started capturing cool videos. The action cam itself records in 720p HD meaning that even after you transfer it to the big screen it will look great. The camera also takes photos, and thanks to the waterproof enclosure, it won't get damaged if it accidentally falls in anyone's cereal. 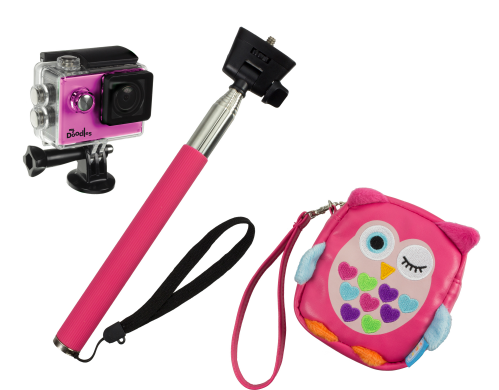 Also in the bundle is a very handy carry case (styled after Astro the Alien or Olivia the Owl) and also the all-important telescopic pole. Onto the end of this the kids can affix the camera and use it to get into all kinds of interesting positions and angles. A great set, even for adults! To enter simply follow us on Twitter (@thetestpit), retweeting any tweet we've posted about the competition before 6pm on 13th May 2016. The competition will close at 6pm on 13th May 2016 and the winners will be notified soon after. UK entrants only please.To win, the entrants must be following The Test Pit on Twitter and have retweeted at least one relevant tweet. The judges' decision is final. For T&Cs please send us an email.